Thatsavibe issue 3 is here! 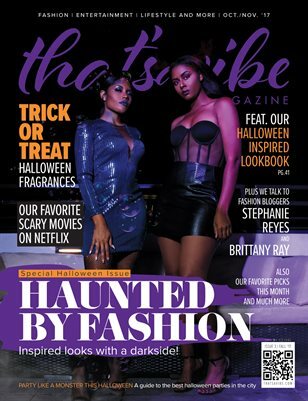 Checkout our special halloween edition featuring our Haunted by Fashion look book with our inspired halloween looks. Plus bloggers Stephanie Reyes and Brittany Ray talk about fashion. Get you copy today!! !